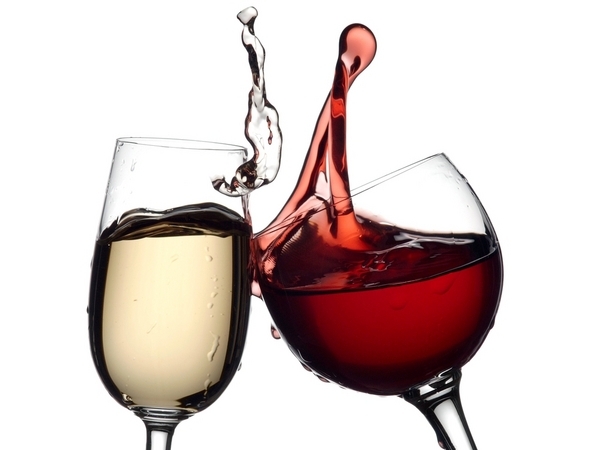 Chamblee Dentist: Red or White Wine? After a long day, a glass of wine may just be what’s in order, especially since so many studies have proven it to be so good for us. Well, white wines just can’t catch a break. Once again, white wine turns out to be a lot worse for teeth. 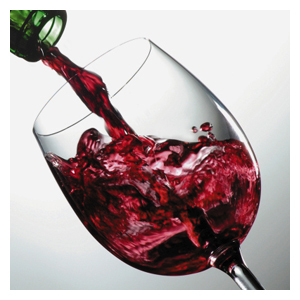 However, it’s not the alcohol in the wine that bad for your teeth, but the acidity of the wine. Apparently, the acid content of white wines like Chardonnay or Riesling destroys tooth enamel much faster than reds like Cabernet. The study recommends white wine drinkers munch on cheese, which supplies calcium to counteract the wine’s effect. Essentially, consuming wine with food means the saliva you produce as you chew helps to neutralize its acidity and limits its erosive potential. Therefore, you need to leave some time before brushing teeth to give the enamel a chance to recover from the acid attack or chew xylitol gum to make the enamel less susceptible to being brushed away. Chamblee Dentist near me | Dental Emergency? Physician or Dentist? What exactly is an emergency dentist? Whether you know it or not, it most likely is your very own family dentist. We offer emergency hours and a cellphone number to patients of record and cold calls when first available. Most likely, if you visit a physician for your dental emergency, he will give you medication to help you over until you can see a dentist. Obviously, a dentist can prescribe pain medication just like a physician. So it may be faster and timelier as it relates to your issues if you see us in the first place. If you are in pain, you probably don’t want to waste the extra time or money it would take to see a physician first. Obviously, if you have an injury that is causing your dental emergency, make sure it is not life threatening before you choose between a physician and a dentist. If you have a toothache, abscess, root canal problems, broken or chipped tooth, knocked out tooth, swollen gums, broken dentures, decayed tooth roots, loose crowns, lost fillings, wisdom teeth problems or pain in the mouth or gums, feel free to contact our office and check out our website for immediate help. We are more than happy to assist you in evaluating these types of situations. The Classic Family Practice, mom and her two daughters. From its inception, Scheinfelds and Orland has focused on providing the right solution for every patient, every time. We do not waiver from this commitment. While many practices claim to put their patients first, few are able to resist the temptation to make small sacrifices to increase their revenues. Scheinfelds and Orland has steadfastly refused to make any change in the treatment that does not offer a tangible benefit to our patients. Scheinfelds and Orland believes in specialization. It is one of the many things that make us revolutionary. Every decision we make, new person hired or new technology solution launched is aimed at expanding and deepening our specialization differentiation. We know taking our eye off this goal would be a costly injustice to our patients. We are proud to say that our patients represent long and endearing relationships that span several generations over 25 years. At Right Smile Center, we take a consultative approach to ensuring each patient’s program aligns with their operating culture and unique risk exposures. This means we don’t believe in pushing products. We don’t try and sell you anything. Instead, we work closely with our patients and their needs to develop and deliver the right solution, even if that means not doing any dentistry at all. From the beginning, Scheinfelds and Orland built its foundation on basic operating principles – integrity, honesty and quality health care. These are not just words to us, rather truths that can be validated by the patient relationships we have held for over 25 years. To us, it’s simple. We base decisions on what we believe to be in the best interests of our patients and our employees. We understand that each puts a great deal of trust in us, and we do not take that trust lightly. Scheinfelds’ and Orland’s culture is unlike any in the healthcare field. We emphasize team achievements and take pride in individual accomplishments that contribute to the patient’s overall success. Ideas are traded, tested and put into practice with the highest degree of passion and excitement. Meetings that would take hours elsewhere are frequently little more than a conversation in the hall, and few walls separate those who are performing the procedures to our next technology innovation from those that created our foundation of dentistry. Our highly communicative environment fosters productivity, creativity and camaraderie fueled by the realization that some of the most wonderful people rely on Scheinfelds and Orland. We are passionate about what we do and believe in giving the proper tools to a group of people driven to make a difference, and they do. Brushing and flossing are your key ‘between visits’ maintenance tools. In addition, using the proper products for home care is equally important. Without consistent care, several general as well as oral health problems may result or be exacerbated. For all ages, you should consult with your dental care provider about using supplemental fluoride; especially if your water is not fluoridated or the majority of your water consumption is through bottled water. In areas without fluoride in the water the rate of tooth decay and other health issues is much higher. While practicing good oral hygiene is vital to your health, there is only so much that brushing and flossing can do. Your average patient can easily overlook conditions that could greatly complicate or even end one’s life. Thus, visiting our dentists for regular checkups is vital part of your overall health care. Since gum disease is acknowledged as a major risk factor for heart disease, stroke, and certain forms of cancer, regular visits to your dentist can help prevent and treat these potential diseases. By treating conditions early and learning from our dentist how to prevent oral health issues, you can achieve better overall health and ultimately better the quality of your life. Your dental care is an important aspect of your general health care. So you need to make sure you find a dentist that is right for you and your family. If you have additional questions or concerns feel free to contact us .